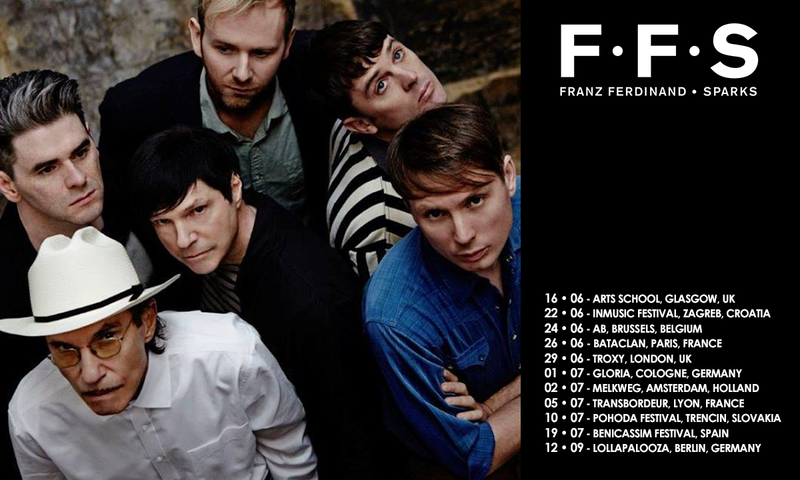 Franz Ferdinand teamed up with legendary duo Sparks (Ron & Russell Mael) for a collaborative project titled FFS. So far the sextet hasn't announced the release of any music, but they have posted a short intro video along with a handful of U.K. tour dates. Expect more news in the coming weeks, but for now take a look at the FFS promo video below and catch up with the band on Facebook, Twitter, and the official FFS website.